I choose Suburban, Whats Next? If you’re looking to sell your home quickly but are on a limited budget, there are dozens of easy ways to improve the look and feel of your home to increase your chances of a quick sale. You can do most of this work yourself over the period of a couple of weeks, and since you’re in charge, you can give your home the look you want. 1. Give every room a fresh coat of paint. This is one of the easiest, most affordable ways to give your home a brand new look. You can hire someone to do the job, or if you’re skilled in this area, you can do the work yourself. Don’t feel as though you have to stick with colors you’ve used in the past. Choose colors that brighten up your home but are not too bold. You’ll want to create a space that is inviting and warm but not overbearing. Choose colors that will stand the test of time: subtle beige, yellows, and sages are always good choices. Visit your local library or bookstore, where you can find books that offer innovative painting and finishing techniques that will bring new life to your home. If your old carpet or wood flooring has seen better days, consider installing new flooring. 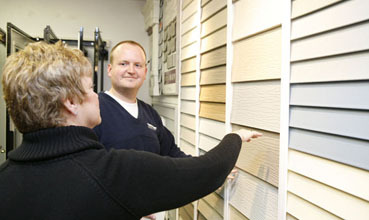 Choose durable yet affordable materials for your flooring. Cheap carpet and wood flooring will only make your home look cheap. If your carpet is stained but still in good shape, all you may need is a thorough steam cleaning. You can hire someone for the job or you can rent a steam cleaner and do the work yourself. If your wood floors are scratched, you may not need to replace them. Instead, consider hiring someone to buff and wax them. Shiny wood floors can enliven any home and increase your chances of a quick sale. 3. Install new lighting fixtures and/or ceiling fans. Replacing your out-of-style lighting fixtures - or adding new ones - is a relatively inexpensive way to update the look and feel of your home. Choose affordable, quality fixtures that provide warm, soft glows and make the space feel homey and comfortable. In rooms without air conditioning or good ventilation, consider adding ceiling fans. Many quality ceiling fans can be purchased for less than $100. Classic styles are always your best bet, as you’ll want to choose fixtures that appeal to the broadest possible range of home buyer. If in doubt, check out the lighting fixtures and ceiling fans in the homes of your friends and relatives. Take note of what you like and don’t like and what will make the interior of your home look the most appealing to potential buyers. While many homeowners believe storm doors will make their house less beautiful, these days storm doors come in so many styles and patterns that it’s nearly mind-boggling. In fact, adding an attractive storm door to your home can actually improve your home’s curb appeal. 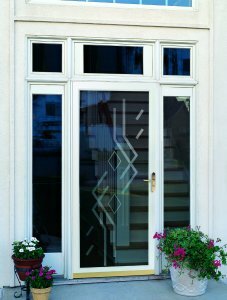 You can choose from a wide range of materials and frames and even add decorative or etched glass to your storm door. The addition of a quality storm door can greatly increase a home’s energy efficiency, and a storm door usually costs about one-fourth of the price of adding a new entry door to a home. 5. Weather strip doors and windows. Most homeowners can weather strip their entire home in less than a day. Usually it’s just a matter of adding self-adhesive foam and/or sweeps to your windows and doors. 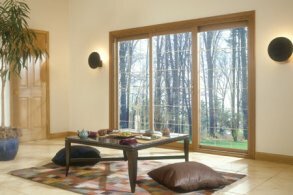 Weather stripping just one door can reduce a home’s energy consumption by up to 15% and is an extremely affordable way to increase your chances of selling your home in a timely manner. 6. Spruce up the place. You may have heard or read about firms that update the furnishings in a home to create certain looks or feels, thereby increasing the home’s chance of selling quickly. If you can’t afford to hire a firm to do this, or would rather not spend the money, talk to friends or relatives to see if you can borrow furnishings, framed paintings, or other household objects to use during the time you are trying to sell your home. Your friends may have beautiful pieces in storage that they never use, and they’ll probably be more than happy to lend these items to you. Often just some good-looking, quality furniture and decorative items are all you need to make your home look and feel comfortable and warm. Think of your home as a stage you must set; the items you borrow from friends and family members are the props that will bring new life to your home and help you make a timely sale. Please enter the number 40116 in the box provided below. All cities may not be listed...Suburban Construction does cover much more area though. Please give us a call to find out if we can help you today! Aledo, Andalusia, Atkinson, Atalissa, Bennett, Bettendorf, Blackhawk, Blue Grass, Buffalo, Calamus, Camanche, Cambridge, Carbon Cliff, Centerdale, Charlotte, Clinton, Coal Valley, Colona, Conesville, Cordova, Davenport, Delmar, DeWitt, Dixon, Donahue, Durant, East Moline, Eldridge, Erie, Fenton, Fruitland, Fulton, Fyre Lake, Geneseo, Hampton, Hillsdale, Joslin, Joy, Kewanee, Le Claire, Letts, Long Grove, Lost Nation, Low Moor, Lowden, Lyndon, Lynn Center, Maquoketa, Matherville, Maysville, McCausland, Mechanicsville, Milan, Mineral, Moline, Montpelier, Morrison, Moscow, Mount Carroll, Mount Pleasant, Muscatine, New Liberty, New Windsor, Orion, Osco, Ville, Park View, Pleasant Valley, Prophetstown, Port Byron, Preemption, Princeton-IA, Princeton-IL, Rapids City, Riverdale, Rock Island, Rock Falls, Sabula, Savanna, Sherrard, Silvis, Sterling, Stockton, Tampico, Taylor Ridge, Tipton, Viola, Walcott, Wapello, West Liberty, Wheatland Wilton. ©2019 Suburban Construction, Inc, All rights reserved.